"Shaping a New Era of Diplomacy"
Get ready for HamMUN 2019! HamMUN will be returning from 28. November - 1. December for its 21. Edition, follow us on Social Media to stay updated! Stay tuned with the current news regarding Hammun2019! The Hanseatic Model United Nations Society is a student society at the University of Hamburg. It was founded int 1996 and has organised the HamMUN Conference every year since 1998. It organizes weekly simulations during term time and sends delegations to the conferences around the world. 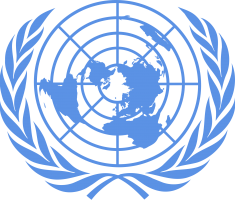 Model United Nations (also referred to as ‘Model UN’ or simply ‘MUN’) is an academic simulation of the work of the United Nations.